iPhone remains unique among it rivals around the market, and there are people who go insane to buy the latest iPhone releases every time even without knowing the features and facilities that it contains and fall just for the brand name. However, it's not just the Tag/brand name which grasps its users and other device users attention to its side, iPhone maintains a certain standard which hasn't compromised and equated by its rivals yet. In a mobile world, iPhone is considered as an alien to other smartphones. We call iPhone as an alien because its operating system and features are not universal. So if you're an Android user and want to play .MOV(Quick Time Multimedia) videos which are an Apple iPhone video format in your android device then you'll end up seeing "format is not supported" to play .MOV files message prompts in Android which could be an exasperating thing when you're curious to watch a video with no time. So here in this article, we will list two simple ways which you can use to play iPhone videos in Android mobiles. Though we have two different ways but it can also be achieved with the same tool itself. Way 2: Convert .MOV iPhone Video Format to Android supported formats. Here in this article, we are not going to introduce any unknown third party tool/players which you've not used/heard off. The most familiar tool called VLC is what going to do magic. 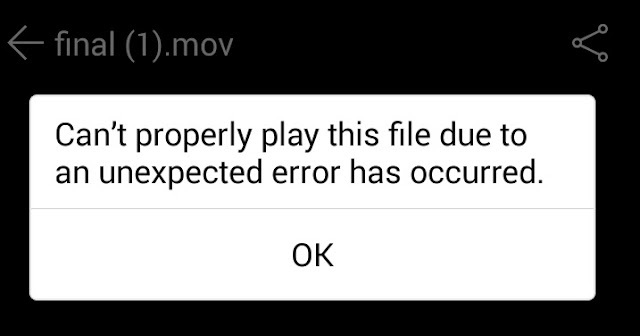 Android devices are preloaded with a list of video encoding parameters, therefore videos that match these parameters are only playable by default. 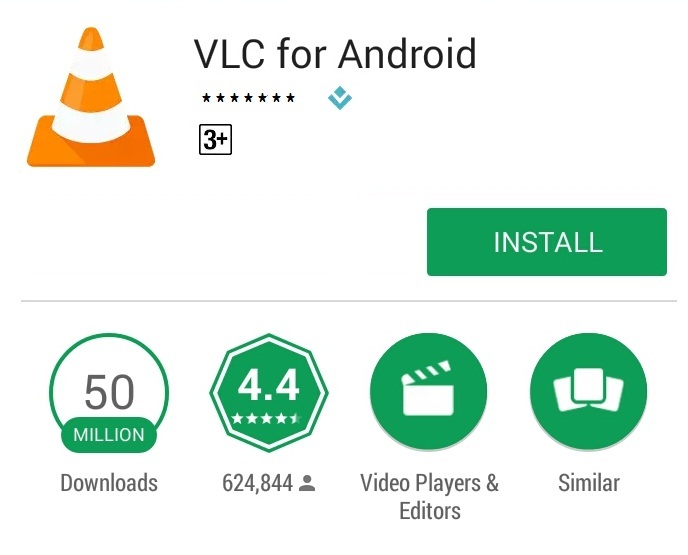 However media player's like VLC were built in such a way to play even videos that are not in the default parameters listed in the Android Developers Homepage. VLC is a multimedia player with which you can play almost anything If we say anything then it is obvious that you can play apple iPhone .MOV video format also with VLC media player. Go to Google play store and install VLC media player on your Android phone. After successful installation of VLC, now tap on the .MOV(iPhone Video) file and select VLC from the list of media players to open the videos. And you're done. now you can play your iPhone videos directly in android devices without any issues. 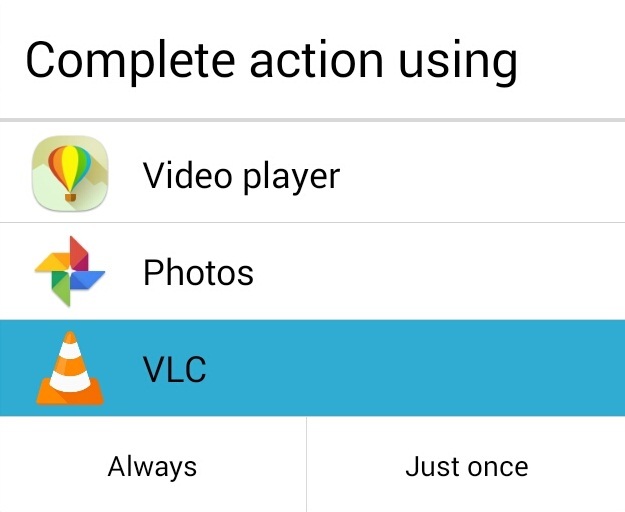 Note: If the .MOV video still opens in the same default media player which doesn't support such file format then reset the option(clear the defaults) in Android apps settings and tap on the video file to open the video and then complete the action using any of the two option Just once(Play once in VLC) or Always(Play always in VLC). Convert .MOV iPhone Video Format to Android Supported Formats. 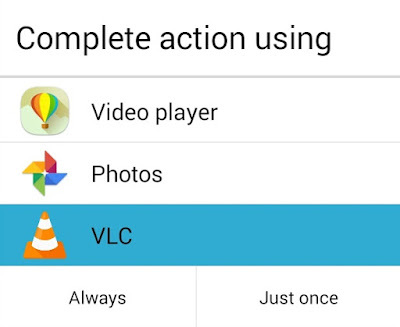 For some reason, if you don't want the videos to be in .MOV file format which is not a compatible format for Android devices by default, then you can also convert iPhone videos to any format with VLC media player.